Today on this packed Wednesday Bucky & Sully Show brought you ALL around the sports landscape in our “Headlines”! Sully couldn’t join us today but we kept you very well entertained no matter the fact. Today we had Jared Diamond of the WSJ to talk MLB and baseball as pitchers and catchers begin to report to spring training for camp! Adrian Wojnarowski, St. Bonaventure Alumn and current ESPN NBA Insider (to the MAX) joined us to catch up with his old buddies Bucky & Sully and breakdown EVERYTHING NBA and the happenings in the league! We also had a chance to talk with former Bills GM Bill Polian, now current Vice President and Co-Founder of the Alliance of American Football! We got into some of his history in Buffalo and with the Bills as well as some old tales and his outlook on the new AAF! 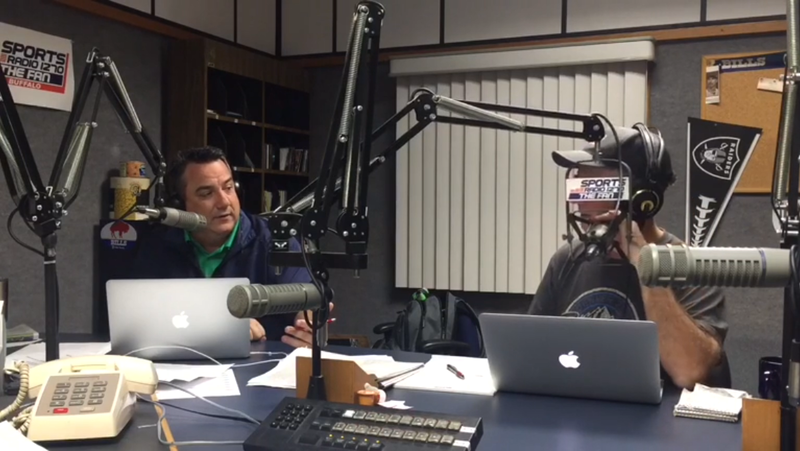 HOUR 1:OPEN, POLL, talking Sabers win over Islanders, Jerry returns, Bills Draft talk, ThermoSTATS. HOUR 2: BUCK UP! Did infact take place! Adrian Wojnarowski, WOJ of ESPN, NBA Insider and Guru joined us! More Sabres! HOUR 3: SALTY SULLY, very very Salty, he kicked off the hour. Poll wrap up, ,SHOUTOTUS closed out the show!